NSW is growing at an alarming rate. The Australian Bureau of Statistics is expecting the population of Sydney to almost double by 2050 to 7.2 million people. NSW will top the 10 million mark, with 11.1 million. That’s a growth rate of around a million people per decade. Effects of the population boom are obvious — a new airport proposed, the metropolitan boundaries of Sydney are spreading everyday and the market for new homes is at a 10 year high. The NSW Government needs to develop infrastructure in line with this population growth. So far, the signs are not good. NSW knows a thing or two about creating and expanding infrastructure. So much so that the government is currently throwing its hat into the ring to win contracts relating to the development of a number of “smart cities” currently planned in India. Earlier this year NSW Premier Mike Baird visited India, saying, “[India] has outlined a plan to build 100 smart cities and we see an opportunity to share our experiences to connect NSW businesses with any smart city project opportunities in India.” What’s more, according to the NSW Government website, a “Global Infrastructure Hub, to be based in Sydney, will facilitate the sharing of knowledge in relation to infrastructure delivery”. In terms of creating jobs and bettering the economy of NSW, looking at strengthening ties in India is a great idea. With a rapidly increasing population, we need to find more opportunities to create jobs and foster economic growth. But another issue that has already arisen and will only continue to get bigger is what happens to NSW’s own infrastructure? How much time and effort is the government putting into planning for an 11.1-million-strong NSW? If the government is helping to build smart cities in India, surely we have to use that knowledge in tandem to improve our own urban spaces and make them more habitable for a large population? The University of Wollongong put it best in its paper Transport for NSW: NSW Long Term Transport Masterplan, where it stated that underspending on infrastructure in the ’90s and overspending in the ’00s had left the people of NSW critical about the government’s planning and direction, and, as a result, scared of large population boom. 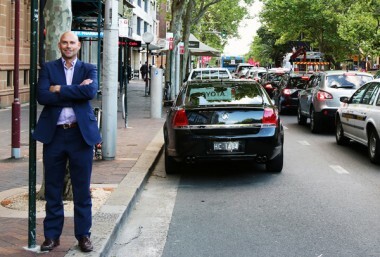 The rapid growth is not something that can be stopped, or should be stopped, and NSW is starting to make small steps to accommodate it. The Northwest Rail Link and WestConnex are cases in point. But most of the growth in housing is being seen in the western suburbs of Sydney, where trains run at 120 percent capacity during peak times and major roads are scoring marks of D and E on an A-F scale, where F all but stands for “forget about it”. The two aforementioned projects will do nothing to solve this. Every day that goes by is a missed opportunity. Infrastructure takes multiple layers of planning and permissions before anything can be done in the real world. As the population increases, the infrastructure should follow. This is why smart, private companies are seeing the gap and stepping in, doing it in ways that will make use of our current infrastructure better than what we currently do. Everything from simple solutions such as TripView (realtime transport network information) and Uber (maximising the current taxi network), to complex cloud products like Google for Business and Xero, allowing people to work effectively from remote locations, lessening the burden on our city infrastructure. It’s great that startups and the private sector are finding opportunities in the government shortfall, but the government must now do two very important tasks to continue to ease the pressure on our infrastructure. First, it must work collaboratively with these companies to build solutions. That means distributing grants, handing over appropriate data and fostering the growth of these companies. Second, it has to deploy its smart city thinking and expertise into its own backyard and invest in the future in tandem with the private sector. The infrastructure issues in NSW could spiral out of control. 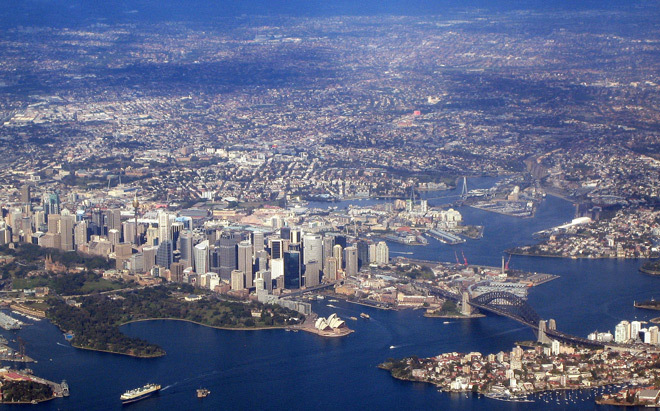 Sydney, like many of the world’s leading cities, is growing and changing at a rapid pace. The infrastructure challenges we face demand smart solutions and intense cooperation between the government and private industry – only these will turn our nation’s great cities into true smart cities. Nick Austin is founder and chief executive of Divvy, an online platform using smart technology to rent out residential and commercial parking assets.